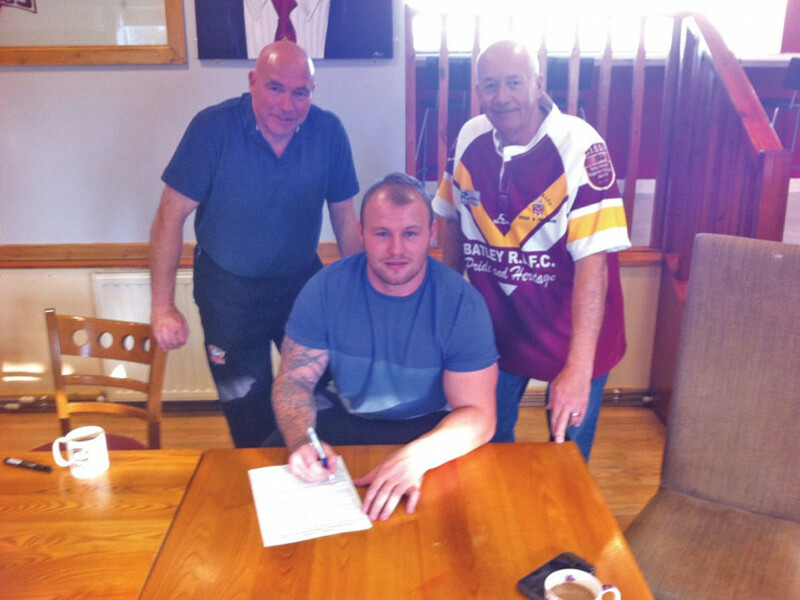 BATLEY BULLDOGS have made a double swoop with the signing of Whitehaven duo Shaun Ainscough and Cain Southernwood for the 2015 season. The Cumbrian pair become coach John Kear’s second and third new signings, following the addition of Sean Hesketh. Live-wire winger or full-back Ainscough, 24, has signed with the Bulldogs after being a stand-out performer with previous club Whitehaven during the 2014 Championship season. The former Wigan and Bradford Super League starlet, who brings an impressive try-scoring pedigree, is sure to add attacking pedigree to the Batley back-line. Kear was delighted with the signings, made in conjunction with the BISSA fundraising committee, and added: “In my mind Shaun is a Super League winger and potentially even a top-tier full-back as well. “I can’t believe he hasn’t been picked up by a Super League club, so obviously we are delighted to have brought him here. “He adds quality in a number of positions and it is very important to have that versatility, as we found out this season. Former Super League half-back Southernwood has signed on a two-year-deal after arguably being Whitehaven’s stand-out player in 2014. Diminutive, quick footed, and with a fine passing and kicking game, Cain could form a potentially devastating partnership with Scott Leatherbarrow next season. Despite having played well over 60 professional games, Cain is still only 22 years old and has the potential to become one of the best halves in the competition. The former Bradford Bull and Wakefield Wildcat also brings an excellent goal kicking record, which could be crucial in what promises to be a highly-competitive division next year. Kear, who included newly-signed Dewsbury players Byron Smith and Dalton Grant in his first Welsh squad his week, said: “The half-back position was something we have targeted and I’m delighted to welcome Cain to the club. “He is still only 22 and has been running a team for two years now. I would say Cain and Scott Leatherbarrow will form our half-back partnership but we will have depth in that position too. In a further boost for Kear’s squad tough-tackling second-rower Sam Scott has agreed to extend his stay at Mount Pleasant for another year. The 24-year-old former York and Sheffield forward has been outstanding in the pack this season, and his decision to remain at the Mount will be a major shot in the arm for the club. Utility back Jordan Grayston has also agreed to stay with the club for the 2015 season. Grayston, 22, was released by local rivals Dewsbury Rams towards the end of the 2014 campaign, and linked up with the Bulldogs for the final stages of the season. The Wakefield-born back spent 2013 in Australia with the Mackay Cutters, and is seen as a promising acquisition for next season’s squad. “We have learnt from last year in many areas and one of those is having stability in our squad,” Kear continued. “By retaining current players like Sam Scott and Jordan Grayston we have that. In other club news, the Bulldogs are set to celebrate a dramatic Championship campaign tonight (Fri) with their end-of-season awards night. The event, which takes place in the Ron Earnshaw Lounge (7.30pm start), costs £5 on the door and includes a free drink on entry.